The City of Sydney leads by example with its Sustainable Sydney 2030 vision. 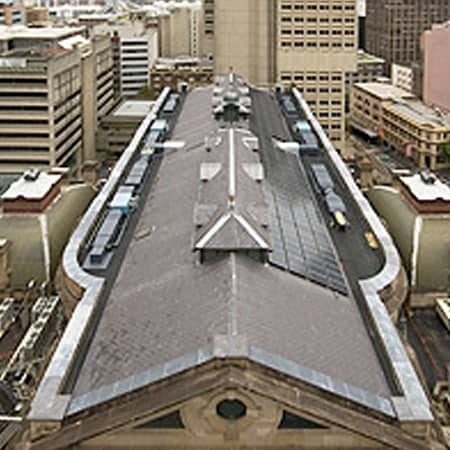 As part of upgrades to Sydney Town Hall, the City of Sydney has installed 240 highly efficient Suntech Pluto solar panels. 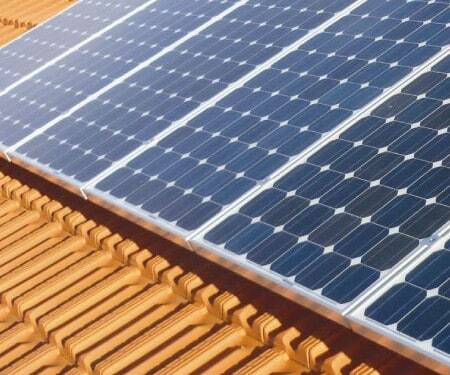 This is the largest photovoltaic installation in the Sydney CBD. The state-of-the-art solar panels incorporate the latest technology from the University of NSW and are the first of their kind to be installed in Australia. 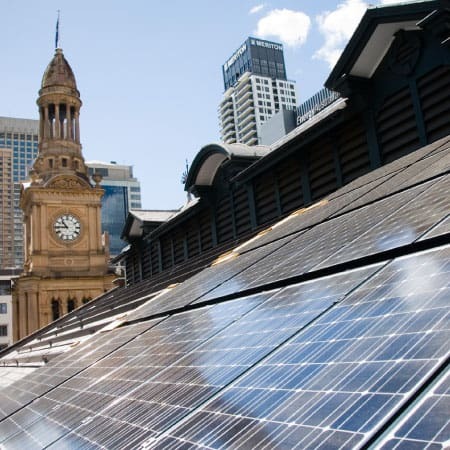 The Town Hall solar panels will help reduce the City’s environmental footprint and produce 48 kilowatts at their peak, supplying power to Sydney Town Hall, including the Town Hall Council Chambers and Councillor offices. The installer Stowe Australia Pty Ltd used a crane to hoist materials into place and special fixtures were designed and installed to avoid damage to the heritage slate roof of Town Hall.